Inpulse® 2HF electrolyte provides BMV filling as well as for conformal plating of through holes. The combination of the Atotech insoluble anode/Fe-redox Cu replenishment system and the Inpulse® 2HF electrolyte ensures long lifetime in full production. 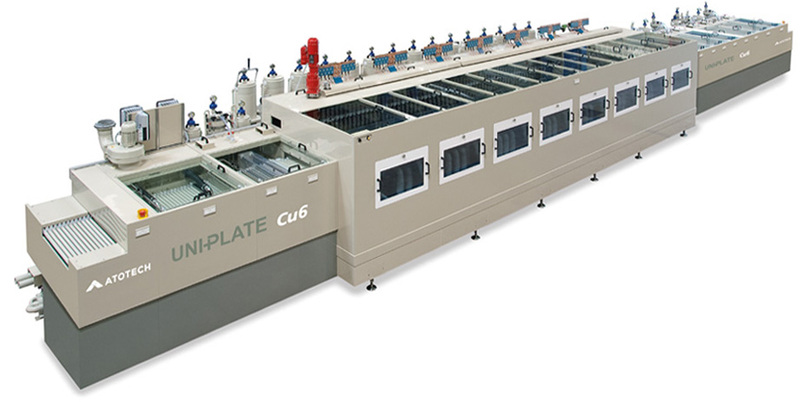 Thus the unique Uniplate® InPulse 2 System and processes is ideally suited to meet all demands for high end production. Reliable blind micro via (BMV) filling is a must in HDI anylayer production. 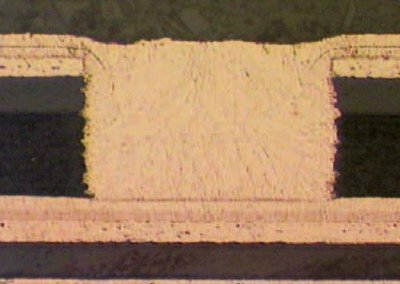 Copper filled BMV’s are used as solder bump sites for IC packaging where the filling process enables the required interconnect density and provides the surface to ensure reliable solder attachment. 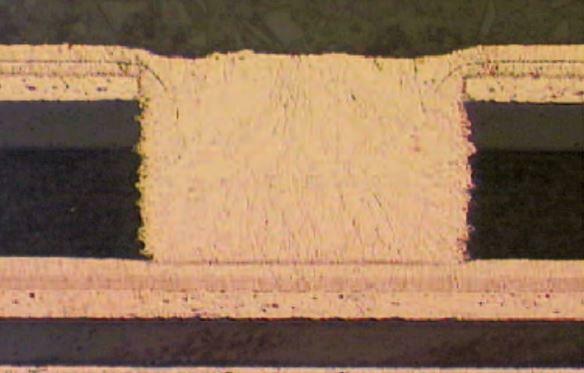 To satisfy your customers and meet your process and operational targets the required filling processes must provide void or inclusion free filling, a minimum of surface plated copper along with the capability to allow stacked filled structures. Inpulse® 2HF is the world’s leading horizontal plating process for HDI blind microvia filling. It has been proven in mass production for over a decade. 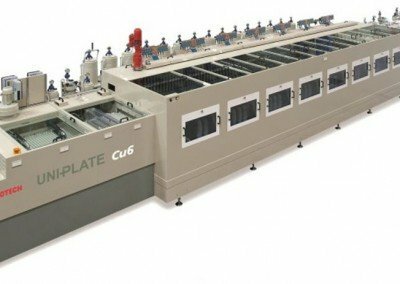 The combination of Inpulse 2HF process together with the Uniplate® InPulse system provides unsurpassed surface distribution in panel plating. 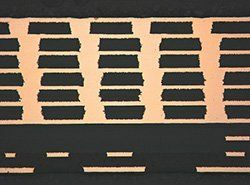 Adding minimum surface plated copper and low dimple filling performance this leads to cost savings in raw materials and production and makes it ideal for anylayer production. By use of reverse pulse plating and the iron redox system for copper replenishment high current density plating can be applied in a stable production environment resulting in reliable, high productive, low cost blind micro via filling.